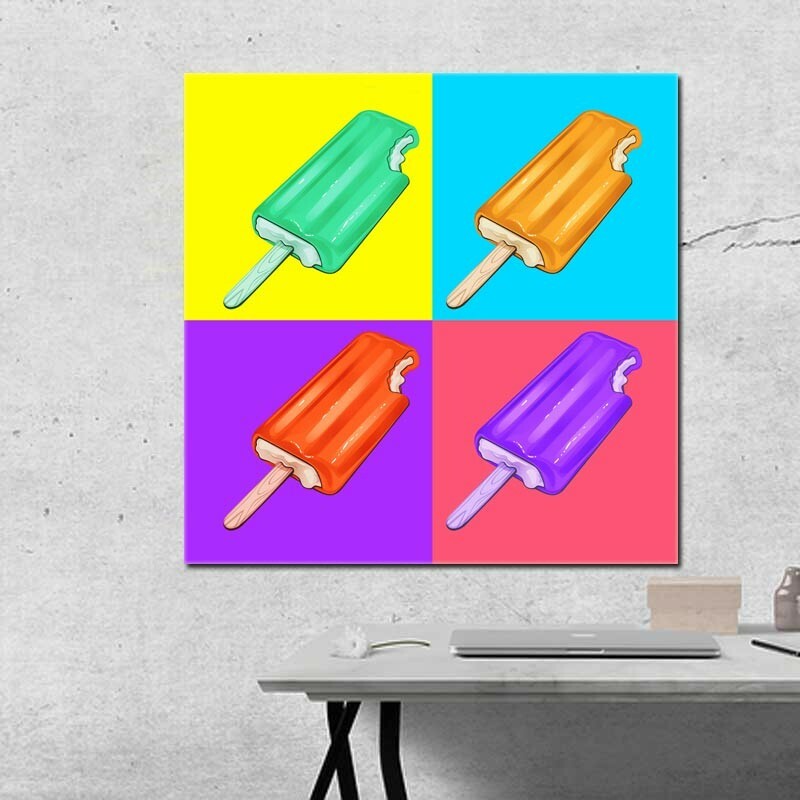 The vivid four panel Andy Warhol Style Canvas inspired by the legendary Andy Warhol is one of the most popular choices for enhancing your decor using photo pop art. 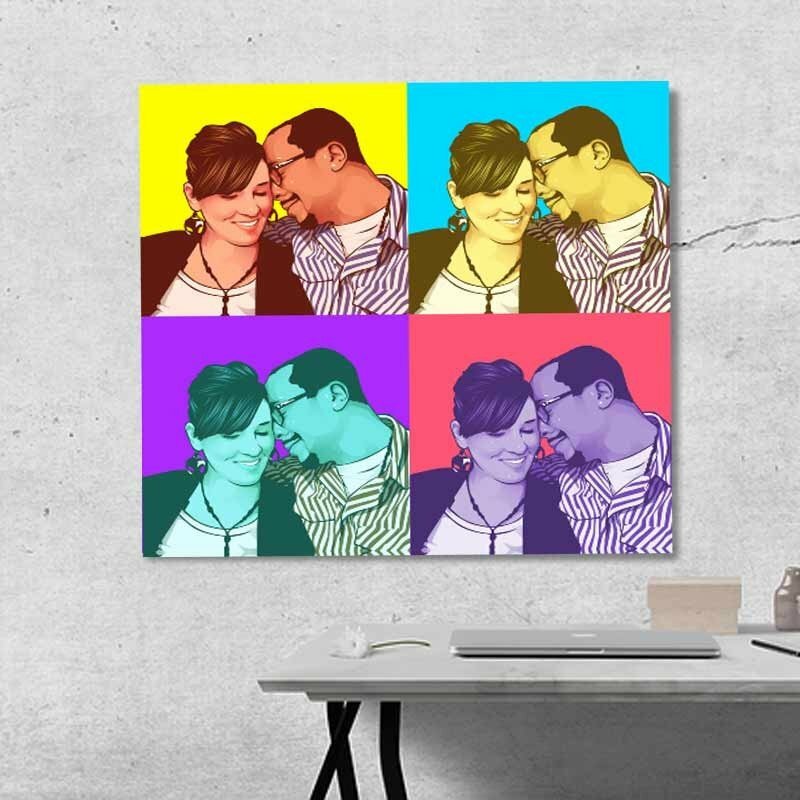 Our modern twist on Warhol's pop art style combined with your favorite photos using vivacious colors will make your walls pop! Artist choice usually recommended or select original photo background. 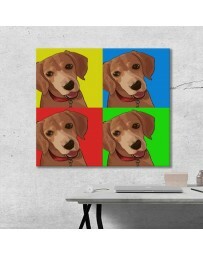 By buying this product you can collect up to 72 loyalty points. Your cart will total 72 points that can be converted into a voucher of $14. 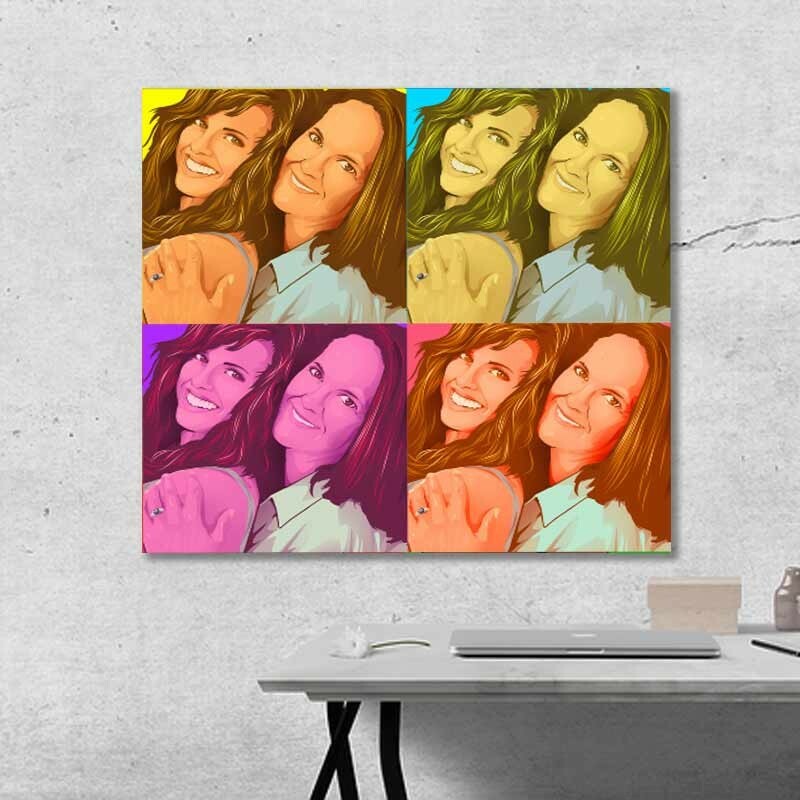 Showcase your photos with your own Andy Warhol style Canvas and experience not just 15 minutes of fame but endless admiration by loving friends and family. 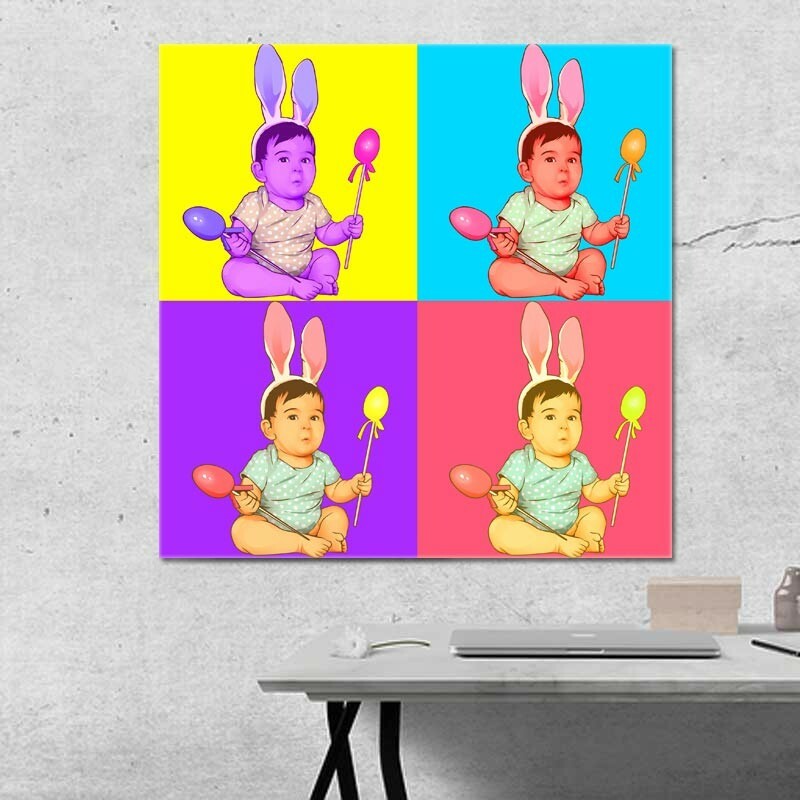 The 4 Panel Warhol style canvas makes use of Andy Warhol and pop art, as made popular by the iconic painter and printmaker in the 50s. 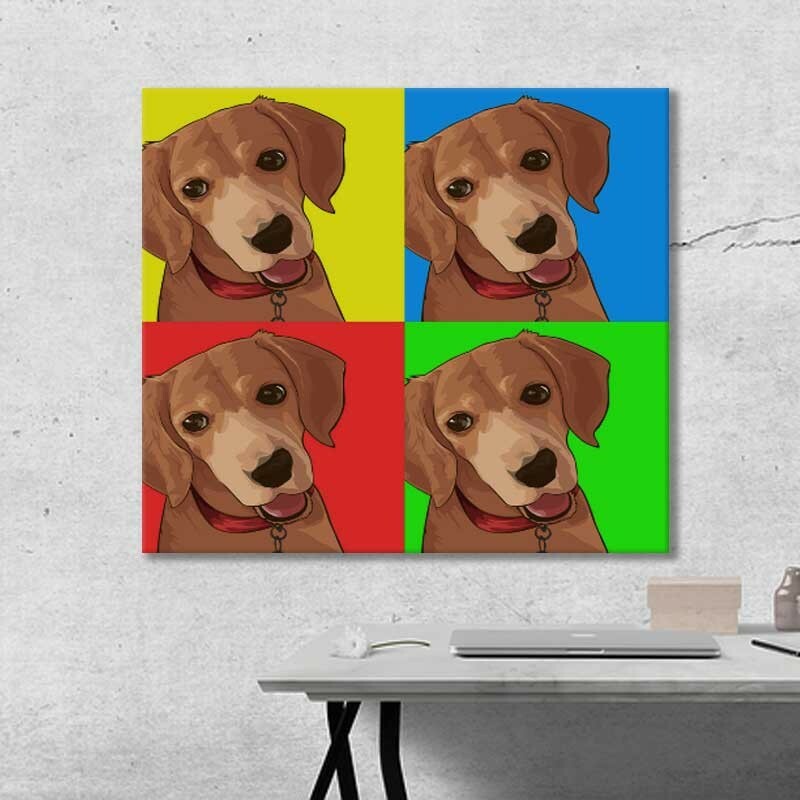 The 4 Panel Andy Warhol Style Canvas is a fun way to showcase your memorable photos and it does so in great combinations of different colors. 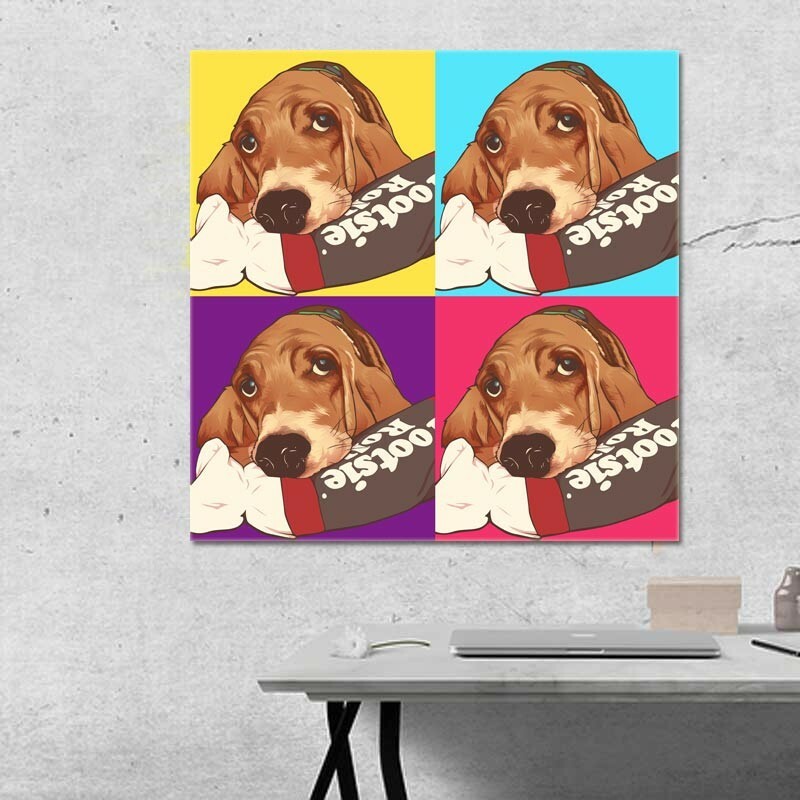 Pop Art portraits from Snappy Canvas come in excellent form and function. They are made from the most durable materials for better durability. 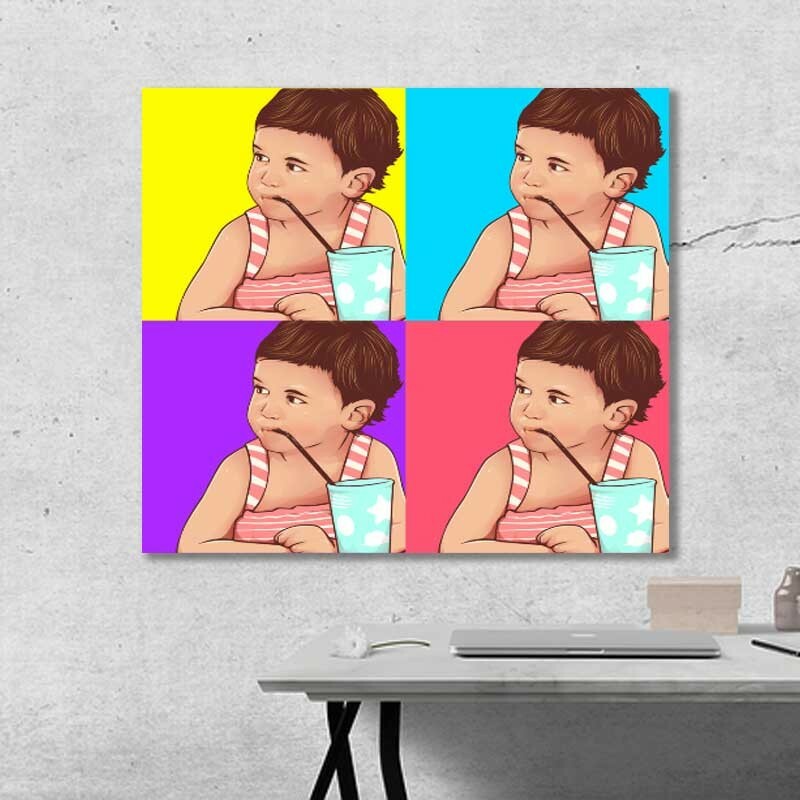 It has a special protective covering making it UV resistant and water proof. Most importantly, it is printed using the latest in archival ink technology to ensure that the print stays on for a very long time.